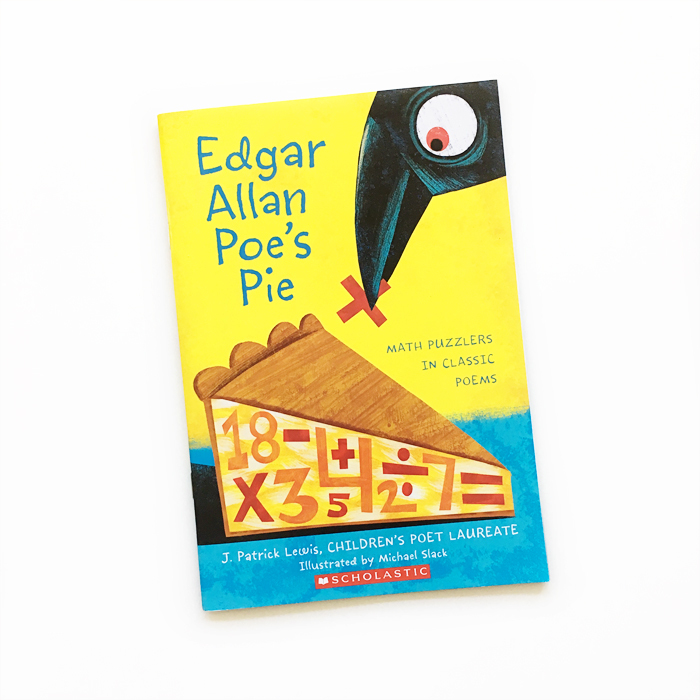 Edgar Allan Poe’s Pie is a collection of math puzzles and riddles based on famous works by poets Edgar Allan Poe, Edward Lear, Walt Whitman, Emily Dickinson, Lewis Carroll, Hilaire Belloc, Robert Frost, Eleanor Farjeon, A. A. Milne, William Carlos Willams, Langston Hughes, Ogden Nash, John Ciardi and Shel Silverstein. 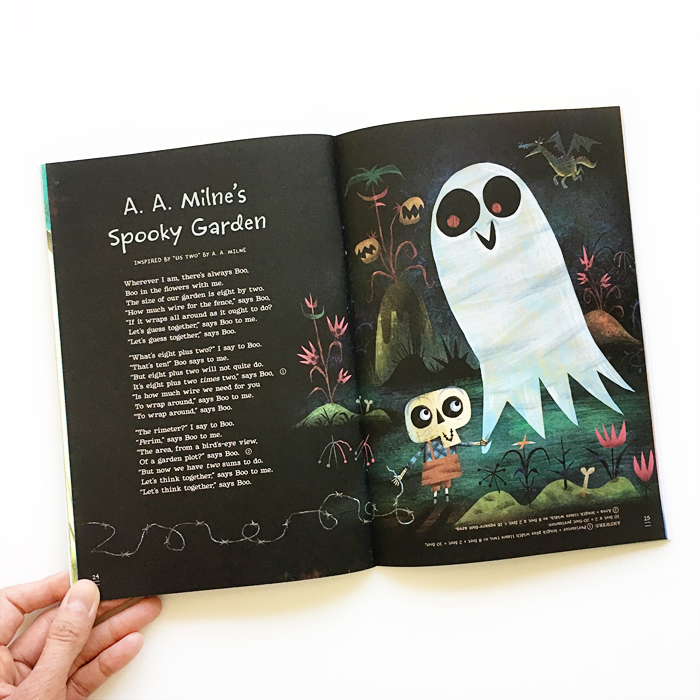 These amusing, lyrical word problems are on the challenging side and would be best for ages 9-12 (or younger children with advanced skills). Brief biographies with highlights of the poets’ lives are included in the back matter. 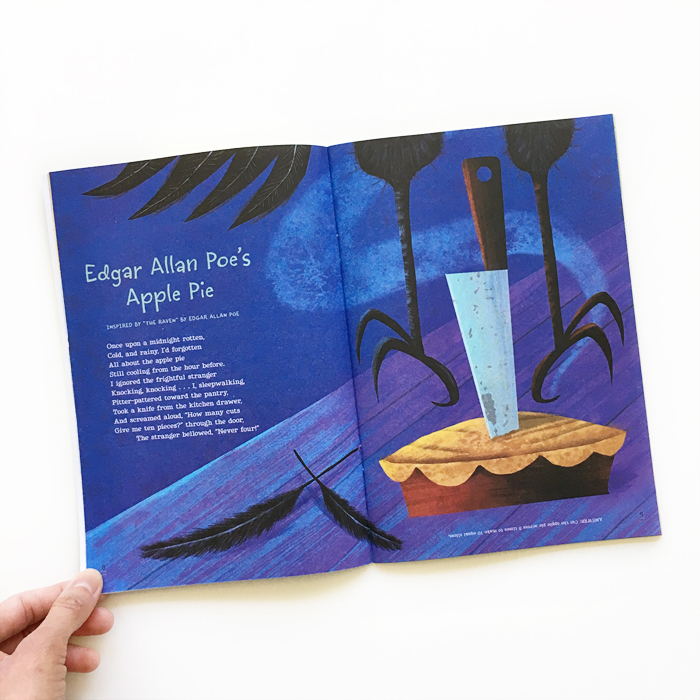 Edgar Allan Poe’s Pie: Math Puzzlers in Classic Poems was written by J. Patrick Lewis, Children’s Poet Laureate, and illustrated by Michael Slack. This edition was published by Scholastic.